4k00:15BARCELONA, SPAIN - CIRCA 2019: Cargo Port In Barcelona. Port Container Dock Loading Cargo. 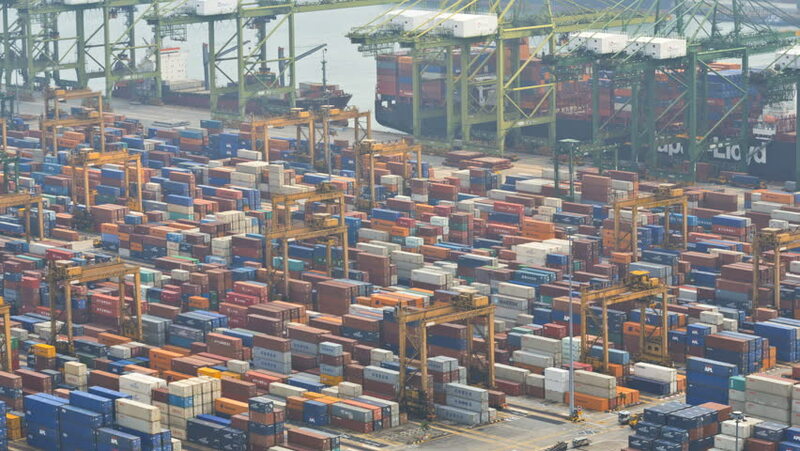 Sorting Yard With Containers. Containers And Cranes. hd00:14ODESSA - MARCH 31: (TIME-LAPSE) Odessa sea trading port activity on March 31, 2012 in Odessa, Ukraine. Odessa port is one of the largest trading ports located on the Black Sea coast. 4k00:39Tianjin, China - July 4, 2017: Aerial View of Harbor with cargo containers,Tianjin,China. 4k00:23BANGKOK, THAILAND - FEBRUARY 19, 2017 : Aerial view of container ships and lifting cranes in the Port of Bangkok.